If this is not the biggest collaboration of the moment, we don't know what is. 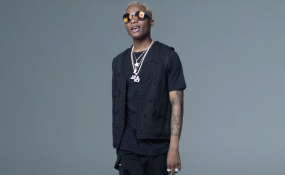 The Baba Nla himself Wizkid comes through in a song with Teni with something to light up your world. The video shows him in the studio nodding to his tune which makes references of him"dying on top of a girl's matter".